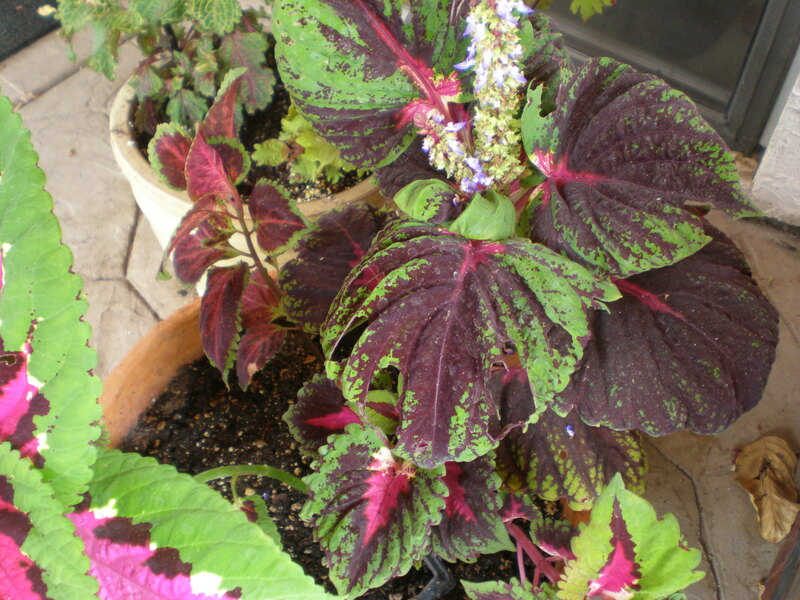 These are some of the coleus I have growing in pots under the shade of my back porch. You can’t beat coleus for color, and these brighten my day whenever I look at them. 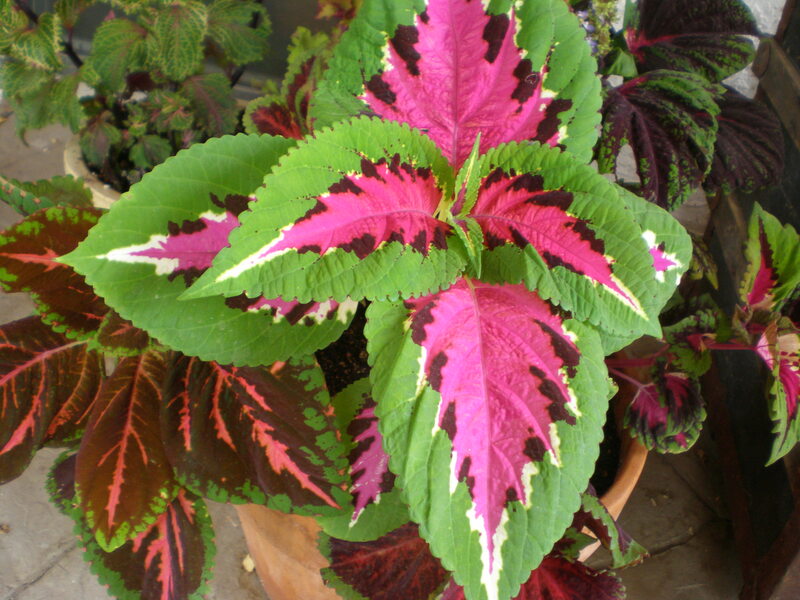 Coleus is very easy to grow. There are just two requirements: shade and no frost. Unfortunately, yes, when temperatures drop in November/December, the poor coleus bites the dust. I will forgive coleus this one fault, because everything else about it is so outstanding. 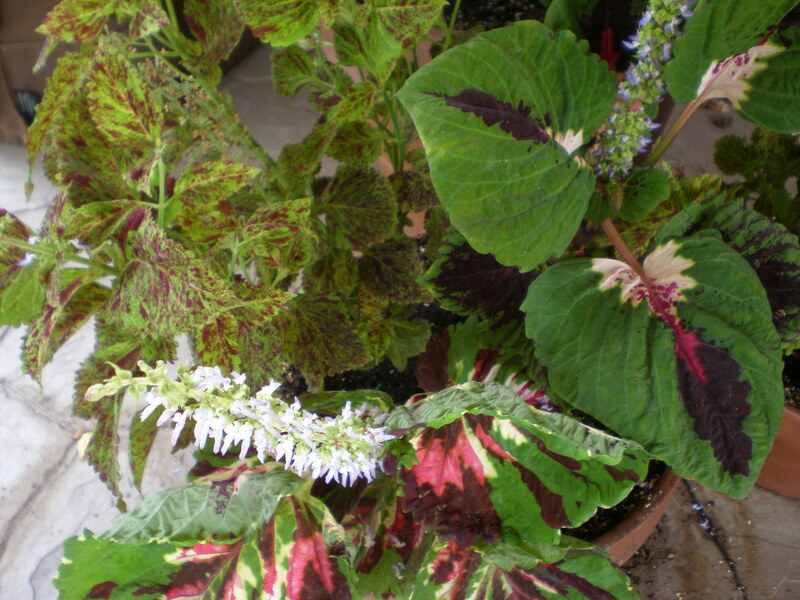 Here are some ‘Kong Mix’ coleus, along with some ‘Wizard Mix’ (for all you Harry Potter fans, myself included! ), purchased at the nursery, of course. I have found that coleus really likes being fed with Gro Power Flower n Bloom fertilizer. I alternate with regular Gro Power Plus 5-3-1, and they are very happy.